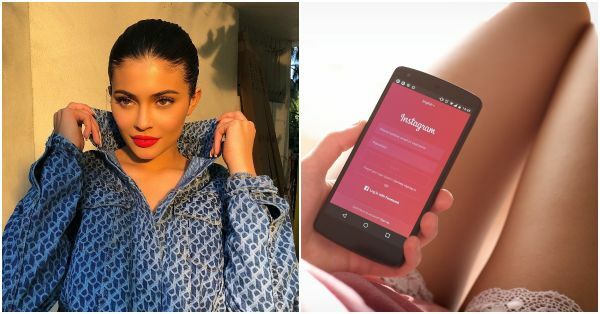 There are more benefits of having a large Instagram following than the fact that you can make lots of money and also become famous. Instagram is the biggest social media star RN and it never hurts to use it to your advantage. Take lessons from Kylie Jenner and Gigi Hadid! If you think your Instagram following has stopped growing then there might be certain things you are doing wrong and certain other things that you are not doing at all. Here's everything you can do to get more eyes on your Insta profile. Thank me later! Your hashtags should be anything but boring. Internet loves tags that are funny and cool. Use tools like Tailwind and Ritetag to discover the best performing tags for your posts. Hashtag trends like #TBT (Throwback Thursday), #FF (Follow Friday), #l4l (likes for likes), #tagsforlikes, #instamood, #instamood, #igers, #instadaily are more likely to be discovered by others. Probably the easiest way to get more followers on Insta is liking others’ posts. According to Neil Patel, the most popular internet marketer, for every 100 likes you make on random pictures, you get 6.1 more followers. This can be a lengthy and tiring process but it never hurts. Also, you don’t have to follow people to make this work! Okay, so a picture is worth a thousand words. But that doesn’t make words any less enticing. Use the caption to tell an interesting and captivating story about the picture. When the picture taps into emotions or simply makes the users feel something, it is more likely to get liked and shared. Getting more followers on Insta is about how well your content stands out from the rest. For this you must create your own unique visual style. One way to do this is using the same filter on each of your posts. Remember, anything that looks aesthetically pleasing, works! Filters like Earlybird, Xproll, Hefe and Valencia perform better than the others. If you regularly post on Insta stories (and you absolutely should), start using templates to make your stories look more uniform. Both Canva and Photoshop have tons of free templates. Start engaging with other Instagram users if you want them to comment or like on your photos. If you leave thoughtful comments on somebody else’s photo there’s a probability that the person will come back to your profile and comment on your photo. They are also more likely to follow you in this case. Connect your Instagram account to other social media platforms. Start with Facebook. When you connect both the accounts, your friends on Facebook will notice and naturally start following you on Insta. According to data, 3% of your Insta followers are your Facebook friends. To make your Facebook followers follow you on Instagram, you can also post a few snippets of your content on Facebook and ask your friends to visit the latter to see more.